Panchase trek is considered as a comparatively easy hiking route then another high-altitude trek of Nepal’s Himalayas and is suitable for all age groups and all fitness levels so, this is an ideal trek where you can enjoy with your friends and family together. Panchase hill is situated at 2500m from the sea level and south-west direction from Pokhara city. 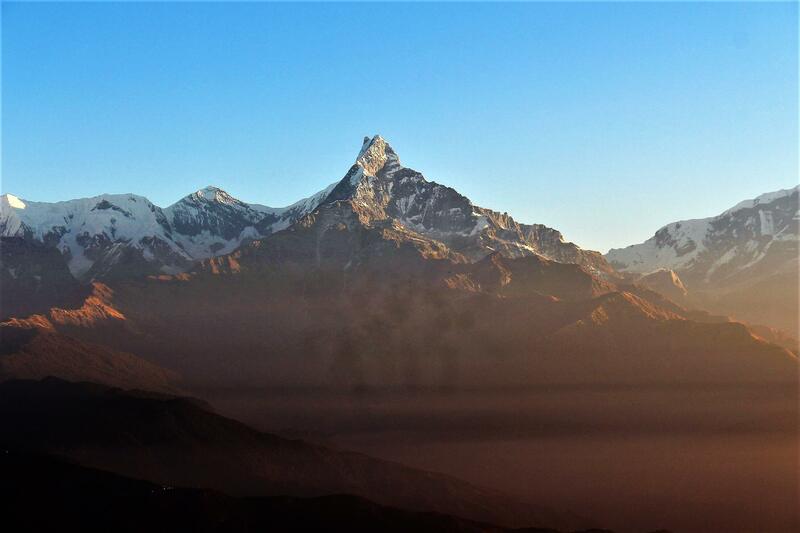 You can view the stunning 360 degrees of great Himalayan peaks like Machhapuchhre (fishtail mountain), Dhaulagiri, Annapurna, Lamjung, Manaslu, Himchuli Himalayan ranges and this is the best place to see all those full scale majestic Himalayan range from nearby Pokhara city. Panchase is also very famous for the Hindu holy pilgrimage site. While doing this adventurous trek you will pass through many beautiful ethnic Gurung villages and chance to do interaction with the friendly local villagers. This trek will encounter various geographical terrains, deep gorges fast flowing rivers coming down from the Himalayas, dense forest walks, rice paddies, rhododendron forests, old style Nepali houses, banana trees, and various birds & wildlife’s found on the Annapurna region. This region is also very rich in plants biodiversity where different plants species were protected and researched by the research organization. If you love nature then, this trail is perfect to hike and enjoy. Departure from Hallanchowk lakeside or from our office your English-speaking guide will take you to boat station and you will do boating across Phewa lake, climb the beautiful forests and reach the famous world peace pagoda which is one of the 80 peace pagodas worldwide to symbolise the peace thorough out the world. From the world peace pagoda, you can see the stunning view of Dhaulagiri -Annapurna Himalayas range. 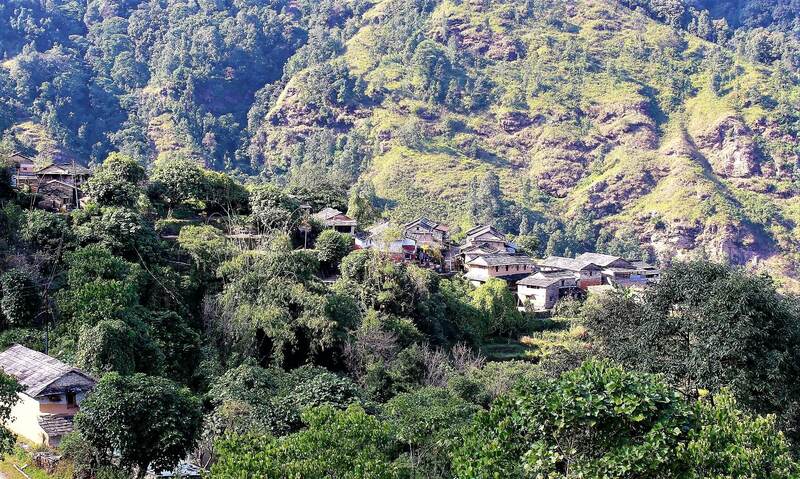 After peace pagoda you will hike through the beautiful forest and you will reach Lukum Swara village. At the end of the day you will climb to the Bhumdi village where you can have chance to see the Gurung’s and Brahmin’s village and learn about the local ethnic cultures and interact with local Nepali peoples. 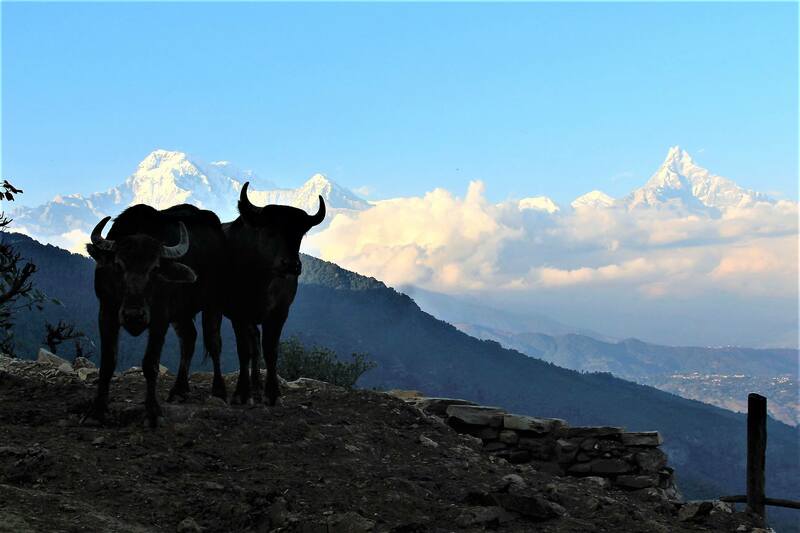 Early morning Bhumdi village you will be walking through the beautiful forest and you will encounter the Dhaulagiri- Annapurna Himalayas throughout the various point of the jungle. This day will be good for the nature lover trekkers because, you will encounter with diverse flaura and fauna found on the Annapurna region of Nepal. If you are lucky, you will encounter with monkeys, various types of birds and their songs from the corner of the jungle and also rhododendron forests is memorising to see. After some hour walks … you will reach at Thulunchour village and will continue your forest walk until you reached to Panchase Bhanjyang which is 2065m altitude. From Panchase Bhanjyang, it is the best place to view whole Annapurna Dhaulagiri Himalayan range, some view of Pokhara city and Phewa lake will be squeezed as a small pond on your eyes view. Early morning you have to hike the old-fashioned stone steps up to Panchase peak which is situated at 2,500m from the sea level which is the highest point of this trek. From Panchase view point, if you are lucky and on time, as a bonus gift you can see the beautiful sunrise. This scene is very spectacular and slowly the sun rays will be on the Himalayan range turning it into golden colour which is beyond the word description. After viewing the sunrise and visit at Hindu temple the walking trail will take you down to the village called ‘Alldanda’ which is also a dense forest walk. After few hours of Forest walk you will reach the Bhadaure Village and you will rest night stay over this place. Early morning your day starts with the step-down walk from the Bhadaure and continue walk down to the jeep trail which is between the middle of villages where you can have change to say hi to local villagers, Nepali farmers and lovely Children’s. After few hours of walk you will reach at Naudanda and the hiking will join to the Pokhara- Baglung Highway. 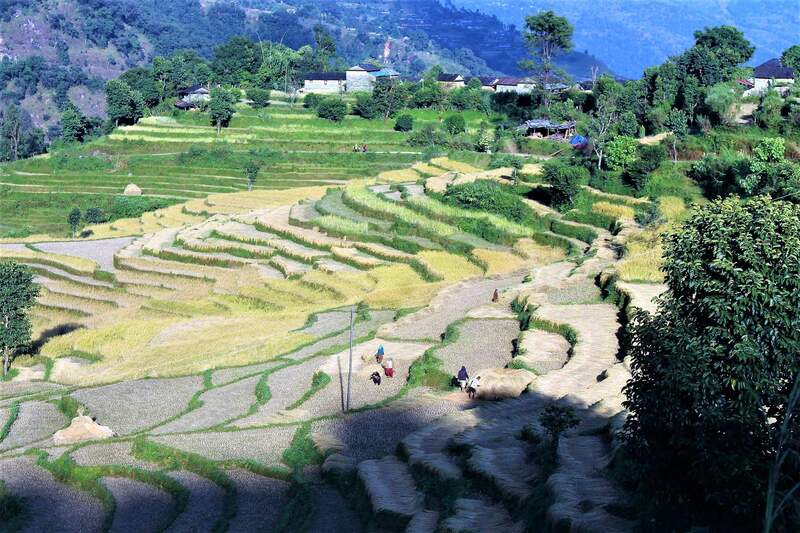 From Naudanda you will hike thorough the beautiful Kaskikot village and finally reach to Sarangkot. Sarangkot is also a best place to see all the scenic mountain ranges, wide angle view of Pokhara city and Phewa lake. After doing all these activities your guide will take you back to Hallanchowk, Pokhara. Tea Houses / B & B accommodations. Meals as specified on the respective days. All the entry fees to any sights mentioned on the Tour.